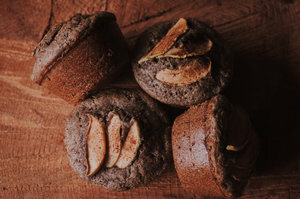 These easy, healthy and delicious Gluten-Free Apple Buckwheat Flour Muffins are full of fiber, protein, the perfect blend of spices and are free from refined sugars making them a great breakfast, snack or dessert! I’ve been on a bit of a muffin kick lately as my kiddos quite enjoy them as their little handheld afternoon snack . 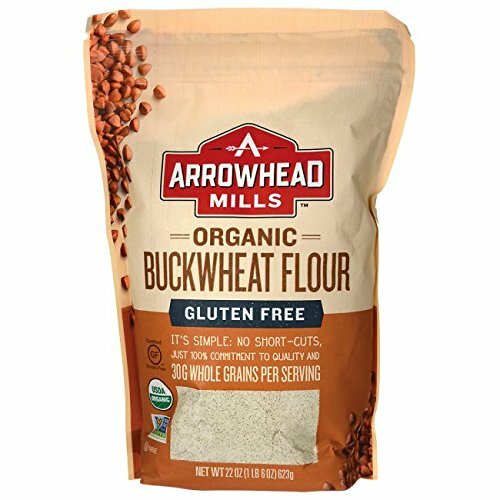 . .
We are also quite fond of the heartiness, earthiness & versatility of buckwheat flour! I wanted to make apple muffins that were not too sweet and that could be enjoyed as a healthy treat or filling breakfast…but that were still full of flavor! I think I succeeded. I hope you think so, too! Enjoy. xo. Preheat oven to 400°F. Grease a muffin tin. Set aside.In large mixing bowl combine dry ingredients buckwheat flour through cloves. Stir to combine.In another large bowl combine eggs, maple syrup, yogurt, oil and milk. Whisk until smooth.Pour wet ingredients into dry ingredients and mix until smoothly combined.Fold in one grated apple.Spoon your muffin batter into your greased tin, filling each right up to the top.Thinly slice an apple and place 2-4 slices on each muffin, pushing them down slightly into the batter.Optionally, sprinkle the tops with coconut sugar.Bake for 18-20 minutes or until the edges are turning golden and the centers are firm.Let cool for at least ten minutes before lifting from the tin.Enjoy!